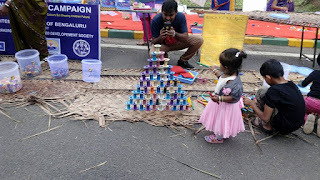 Celebration of Children's Day/ "Makkala Habba"
On the occasion of Children's Day, United Way Bengaluru in association with the Women and Child Development Department, Government of Karnataka, and Vidyaranya, organized a two day festival. 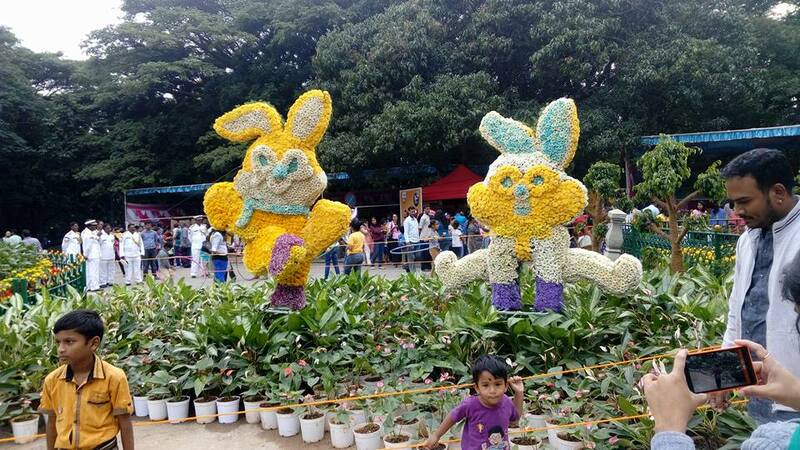 This festival took place at Cubbon Park, on the 14th and 15th of November. Parents and children had the opportunity to experience traditional life, games and food. 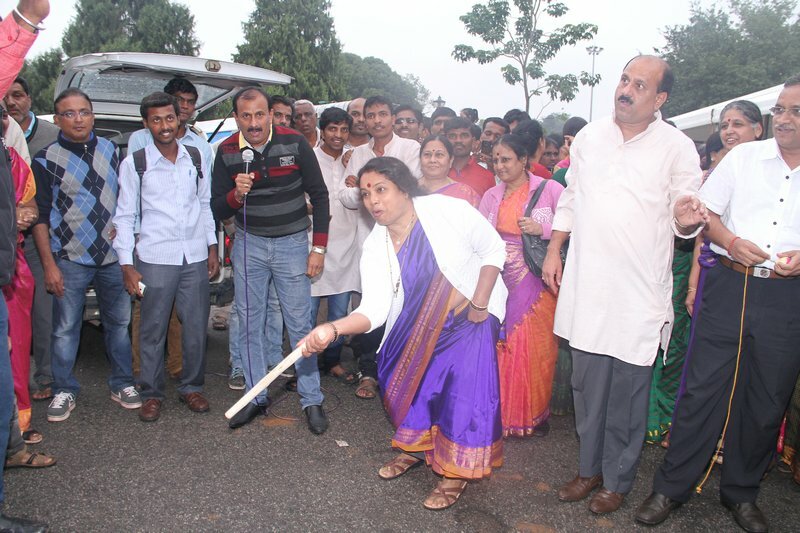 It was a perfect opportunity for parents to share their fond childhood memories with their children while playing traditional games, such as for example cycle tyre race and skating on coconut palms. Guest could also participate in pottery making, basket weaving, butter churning, story telling, painting, to mention a few. 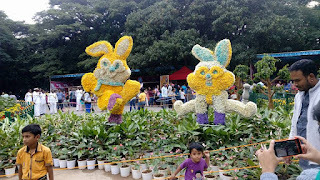 There was also a beautiful flower exhibition at the festival. Guests to the festival was foremost the local crowd, but also quite a lot of expats attended. The Minister for Women and Child Development, Government of Karnataka, also attended the event, which was very exiting for us. At the event I spoke with the owner of the trendy Scent (hair and beauty salon). 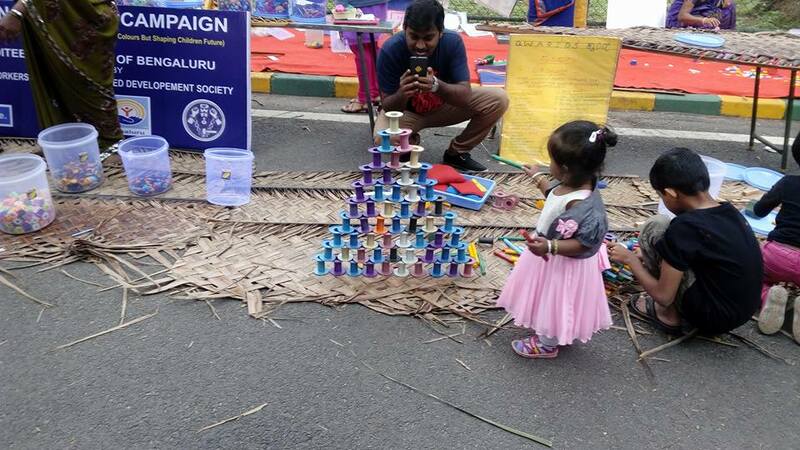 After speaking for a while, we agreed that we could try and do something on behalf of Vidyaranya. So, one meeting pending .. As a matter of fact, at the moment, there is a lot of things going on now for helping the victims, charity dinners, clothes exhibition/ fashion show for a good cause, the H&M project, and the Christmas fundraiser project. Good there is more people willing to help!